The materials featured in this post and giveaway were provided by Warner Bros. Home Video. This post may contain affiliate links. No incentive was provided for this publication and opinions are our own. Woman Tribune is not responsible for prize fulfillment. There are few things as important in life as your friends. No matter how old you are, your friends are there to share in life’s happy moments, support you when you make mistakes, and be your rock when the going gets tough. The new movie LEGO Friends: Girlz 4 Life is all about friendship, trusting yourself, and standing up for what’s right no matter what the cost. All set to an awesome soundtrack young girls will love. Join Olivia, Stephanie, Emma, Mia, and Andrea as they learn about friendship, fame, and pop star fun in Heartlake City. The girls’ friendships are tested when mega pop star Livi comes to Heartlake City. When our friends’ hit song “Girlz” is stolen by Livi’s manager, it’s time for a cunning plan. As the girls try to tell Livi the truth about her latest hit single, they all learn that fame isn’t everything and it’s friendship that’s the most precious thing in the world. LEGO Friends: Girlz 4 Life brings the LEGO construction-based toy to (animated) life and invites girls into the world of Heartlake City to inspire them to use their imaginations to build and role play their own stories with fun-loving, relateable characters. LEGO Friends: Girlz 4 Life releases on Digital HD January 19 and on Blu-ray Combo Pack and DVD February 2. Own it here. Young girls can unlock their inner pop star with the Girlz 4 Life activity pack: selfie props, making the band DIY pop star instruments, friendship card, and more. Join Olivia, Stephanie, Emma, Mia, and Andrea as they learn that fame isn’t important and it’s your friends that count! One lucky reader will win LEGO Friends: Girlz 4 Life on Blu-ray. This giveaway is open to US entrants ages 18+ and ends February 4, 2016 at 11:59 p.m. EST. I had no idea Lego has something like this for kids. Looks really nice. I bet little girls would enjoy watching this. How cute! My niece will definitely love this! 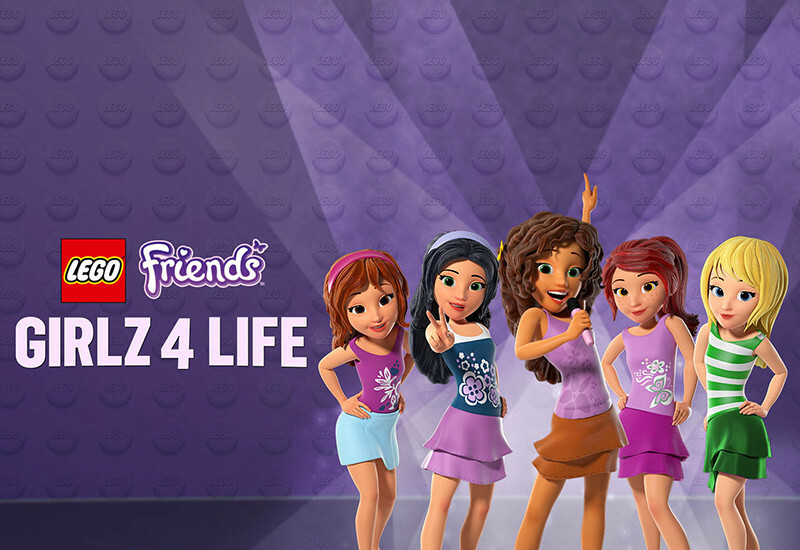 The LEGO Friends – Girlz 4 Life sounds like a wonderful movie with lots of fun & movies that relates to friends & the support they provide you in need is going to be a super hit among kids for sure. We have an ideal situation for teaching this…our girls are only a year and a half apart. In their short little lives they are learning to be sisters and friends. When upsets happen, I encourage them to work through it and show kindness toward each other to do so. I teach my daughter to be a good friend by sharing her toys and giving her friends a hug goodbye so they know she cares about them (she’s only 2 years old!). We discuss being kind and helpful to our friends.